We would like to share some heart-warming stats to launch into Spring season. 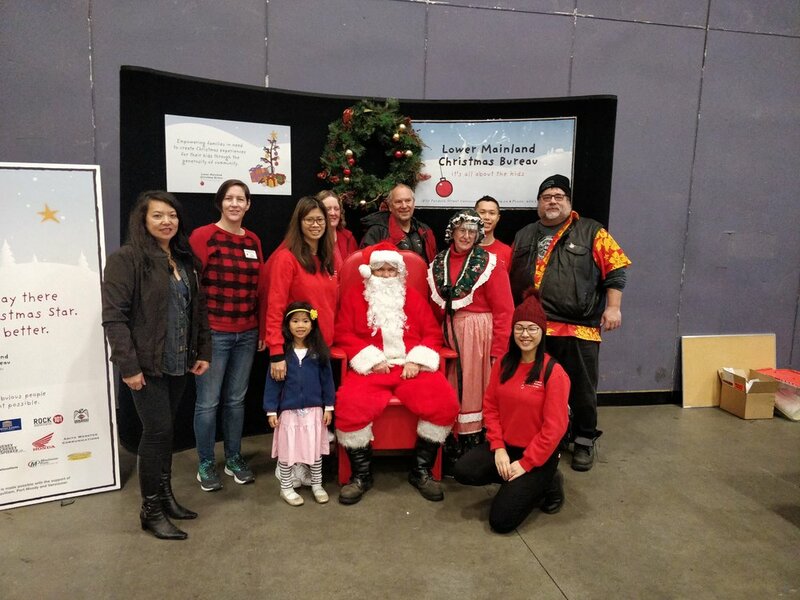 The Lower Mainland Christmas Bureau has improved and succeeded in our efforts to connect with more agencies this year. 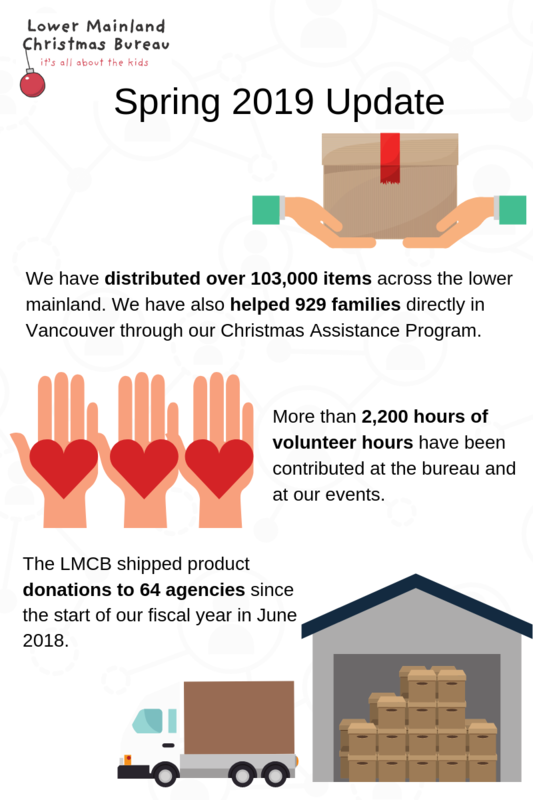 Product donations were shipped to 64 agencies since the start of our fiscal year in June 2018, in addition to the 929 families the LMCB directly helped in Vancouver through our Christmas Assistance Program. 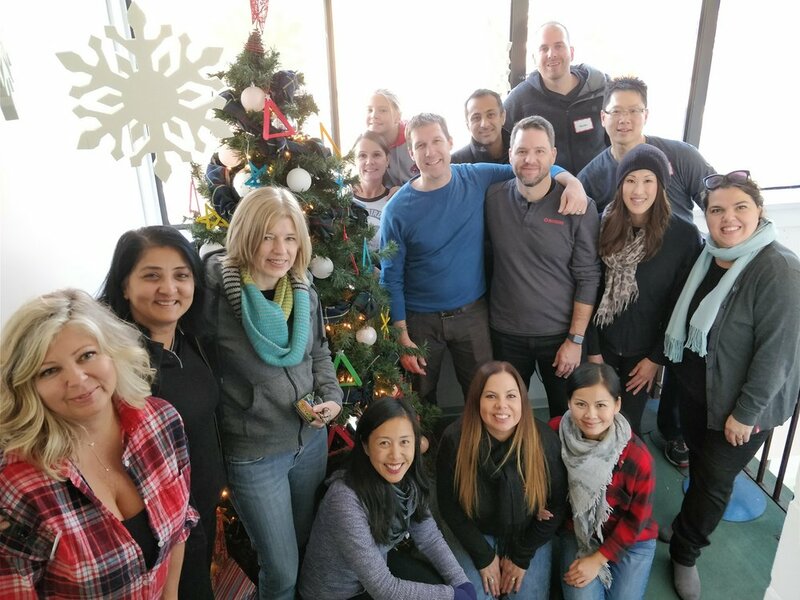 We are grateful for all the donations we received, and our team and volunteers had a blast sorting through all the gifts and toys for children and teens in need. Thanks to our donors and supporters generosity, we have distributed over 103,000 items across the lower mainland so far and are continuing to do so. The LMCB is truly appreciative and in awe of our amazing community of volunteers! More than 2,200 hours of volunteer hours have been contributed at the bureau and our events to make our work and mission possible. We look forward to continuing our work into the warmer months and spending time in the warehouse accepting and sorting product donations. Our LMCB hard working staff team and generous volunteers wrapped up our final day of registration for our Christmas assistance program for the 2018 holiday season. 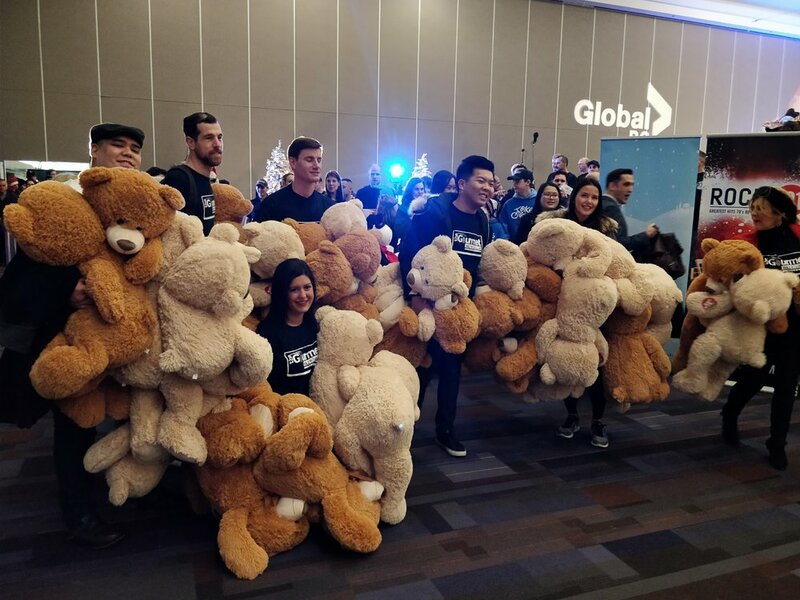 We served over 900 families with a total of over 2,000 children in Vancouver this year and shipped many tens of thousands of gifts across the lower mainland. Thank you to everyone for their support and contributions! You helped make Christmas brighter and happier for so many people across the lower mainland. The LMCB wishes everyone a safe, warm and Merry Christmas and a happy new year! Here are some highlights from the 2018 holiday season that we would like to share with you. Please note that if you have gifts and toys you would like to donate after Christmas, our warehouse we be open again starting on January 2nd, 2019. A big thank you to the Greater Vancouver Home Builders Association (GVHBA) for running its 23rd annual Coats for Kids campaign from November 1 – 30 in support of the Lower Mainland Christmas Christmas Bureau and the Surrey Christmas Bureau. On Friday November 30, 2018, GVHBA members gathered at the GVHBA’s Christmas Wrap- Up Party to amplify their spirit of giving. The response this year was truly heartwarming with Metro Vancouver residents donating more than 6,000 items to 54 GVHBA member companies, who opened 67 drop-off locations in 16 municipalities across Metro Vancouver. We would also like to thank the GVHBA for their fundraising campaign and monetary donation. Check out more photos of the event and wrap up party here. The annual Vancouver Giants Teddy Bear Toss Game returned this year on December 8th at the Pacific Coliseum. Stuffed animals rained downed onto the rink in the Vancouver Giants vs. the Victoria Royals. The 31st Annual Pan Pacific Christmas Wish Breakfast was held on December 13th this year. We always have so much fun at this event and love seeing everyone who comes out to donate gifts for children in need. Thank you to the Pan Pacific Hotel Vancouver, Global BC, and Rock 101, and all of our supporters. It is always a treat for the LMCB when Translink BC arrives with the Sparky the Elf and the special Reindeers buses filled with gifts to donate. 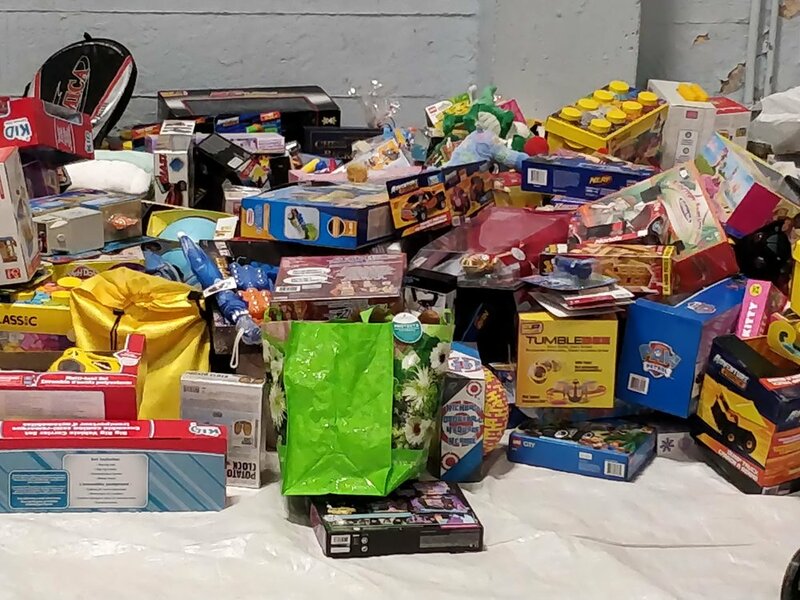 This is the 33rd year of the annual Toys for Tots toy drive and 3,304 toys were donated to our warehouse on December 20th, 2018. Thank you to Translink and their dedicated team for your long time support. The holiday season has arrived and we are excited to be assisting families with Christmas celebrations again this year! Our staff and volunteers are delighted to be back spreading Christmas cheer. December 5th opened the first day of registration for our annual Christmas assistance program. Each family that we help receives a grocery store gift card for them to purchase items for a warm Christmas meal and parents get to select for gifts for their children in our pop-up toy store. We would like to thank the Rogers Communications volunteer group who came to set-up and decorate the toy store the day before we opened. As well, a big thank you to Paladin Security for providing a security guard for line-control for the toy store. For more information on how and when to register here. On Sunday October 7th, we held the 40th Annual Vancouver Motorcycle Christmas Toy Run. We are so proud to have been able to organize this unique event for the past four decades! Nearly 700 motorcyclists participated in the ride leaving from Coquitlam Centre, travelling through Port Moody, Burnaby and arriving at the PNE Fair grounds in Vancouver. Although the crowd was not as large as last year due to rainy weather conditions, we are touched to see many familiar faces and such dedicated support at the event. 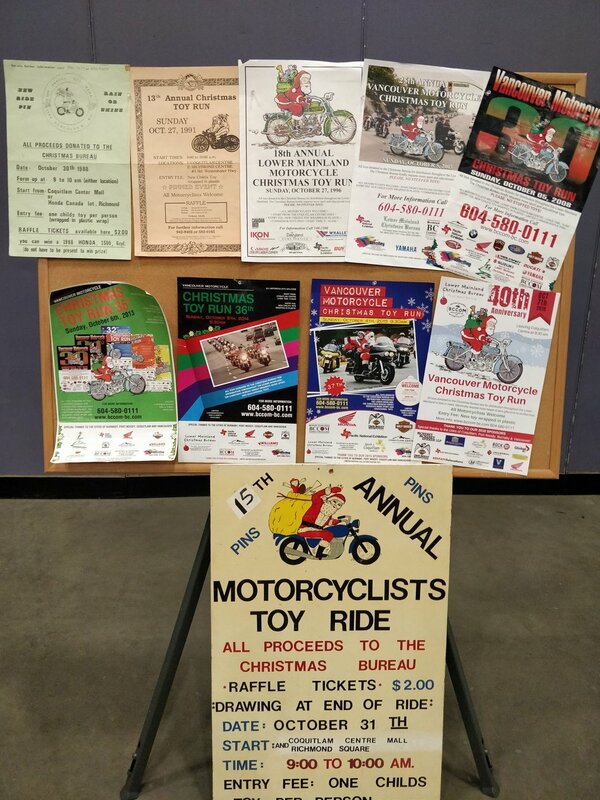 If you missed the event this year, collectible Toy Run pins and Toy Run T-shirts can be purchased by donation at Trev Deeley Motorcycles. We would like to send a big thank you to all of our sponsors, participants and volunteers. Thank you for contributing to help make Christmas brighter for kids in need across the lower mainland. Our warehouse is packed with donations from another amazing event! 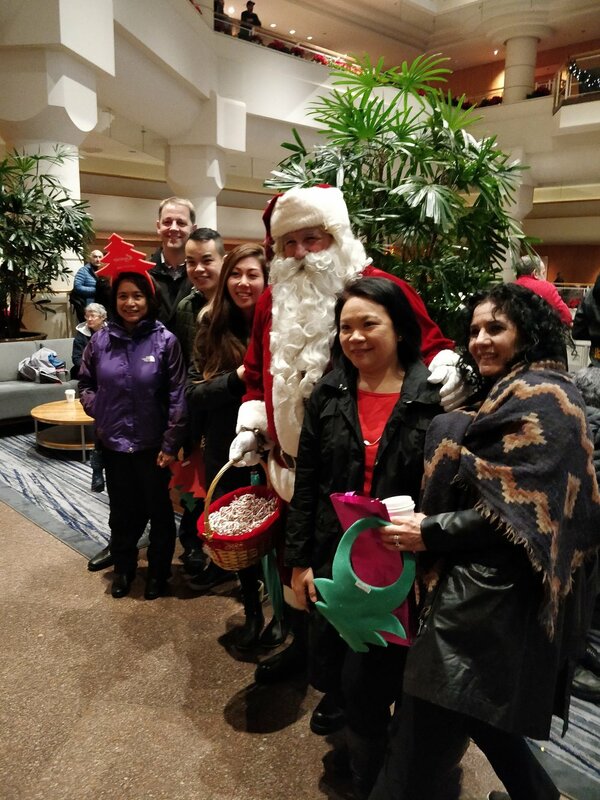 Thank you to the wonderful team at the Pan Pacific Vancouver for hosting another amazing event in support of the Lower Mainland Christmas Bureau. 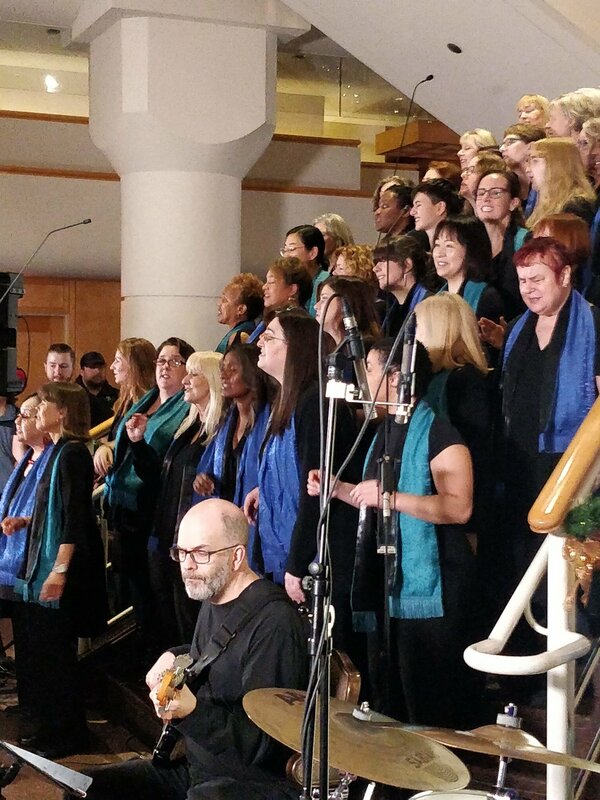 We were delighted to be a part of the 30th Annual Pan Pacific Christmas Wish Breakfast, on December 13th. 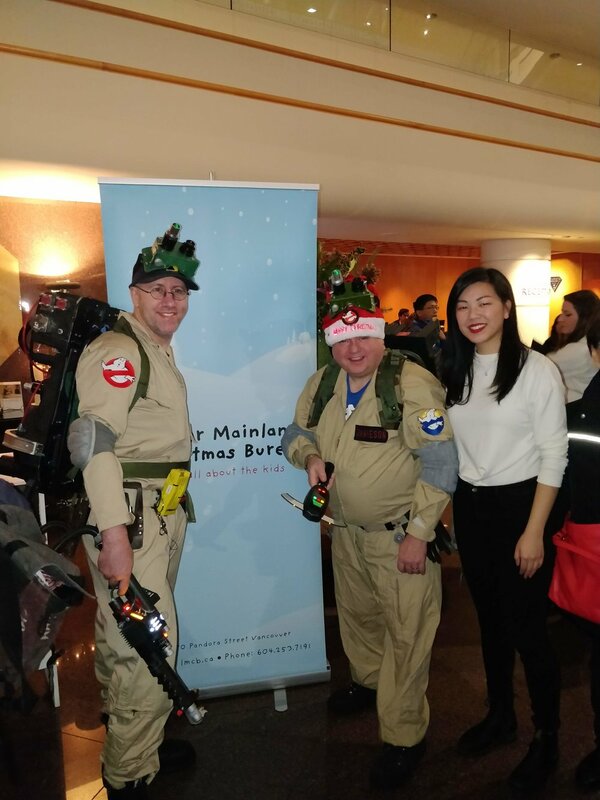 Hundreds of volunteers from the Vancouver Fire and Rescue Services Team and Pan Pacific Hotel donated their time to help make this event a success. Thousands of attendees, along with corporate groups and companies brought toy donations in exchange for a complimentary hot breakfast. Together, we collected over 24 tonnes of toys and raised over $25,000 in monetary gifts and gift cards. In addition, Dominion Lending Centres' Bike for Kids Program donated 650 new bicycles.